In Burn for Burn, Kat, Lillia and Mary get the opportunity to act out their revenge fantasies. Each has an ax to grind with someone from their high school. Rebel girl Kat spent the summer hooking up with football player Alex, but since school’s started back, he’s seemingly moved on with Lillia’s younger sister, Nadia…which also angers rich girl Lillia. Her sister is only a freshman and doesn’t need a senior like Alex soiling her innocence. Worse, Lillia’s bff Rennie supposedly knows all about Nadia and Alex and has done nothing to stop it! But then, head cheerleader Rennie only looks out for herself – always has – and Lillia is getting sick of always playing second fiddle to her friend. Then there’s Rennie’s object of lust – football captain, Reeve. Basically the male version of Rennie, Reeve dominates the football field and halls of Jar Island High. Years ago, he also made life a living hell for shy, quiet Mary when, in middle school, he nicknamed her Big Easy in reference to her *ahem* larger size and made her the object of several public humiliations. That Kat, Lillia and Mary don’t hang at school is what helps their plan to exact revenge on their objects of ire so perfect. No one would suspect those three to be in cahoots! A chance meeting in the school bathroom – which is the hotbed of ALL school plots, really – brings them together, and after comparing hate notes, they realize they might really be able to pull off plans to get back at Alex, Rennie and Reeve. As you can probably guess, things don’t go quiiiiiite as they expect, because things and people aren’t always what they seem. Also, one of the girls might sorta kinda have supernatural powers. The authors save the big twist and series set-up for the Homecoming Dance at the end. 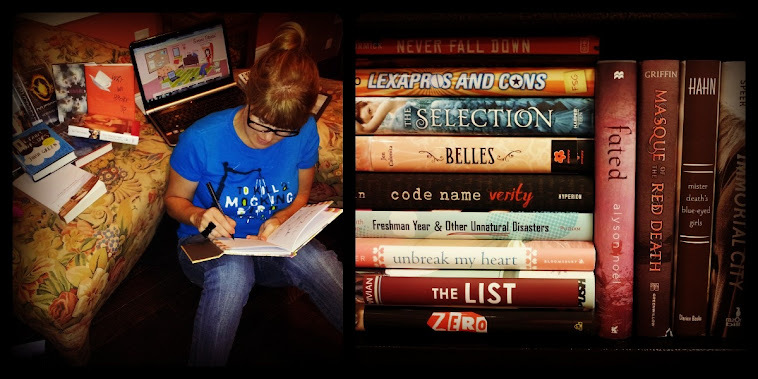 My girls are HUGE fans of Han’s The Summer I Turned Pretty series and Vivian’s Not That Kind of Girl and recent release, The List - a summer favorite of mine. 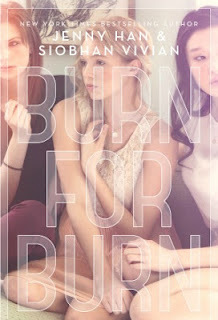 With Burn for Burn, author besties Han and Vivian have paired up for a new trilogy that should satisfy both their readers and fans of girl drama series such as Sara Shepard’s Pretty Little Liars and Lisi Harrison’s The Alphas and The Clique. Burn for Burn is scheduled for a September release, which will give my students plenty of time to read it before our field trip to meet Han, Vivian and 42 other awesome Y.A. authors at this fall’s YallFest in Charleston. We’re beyond excited…and it’s still 3 months away! To learn more about Jenny Han and Siobhan Vivian, you can visit their websites at http://www.dearjennyhan.com/ and http://www.siobhanvivian.com/Hello/Home.html .